Welcome to paradise on earth! 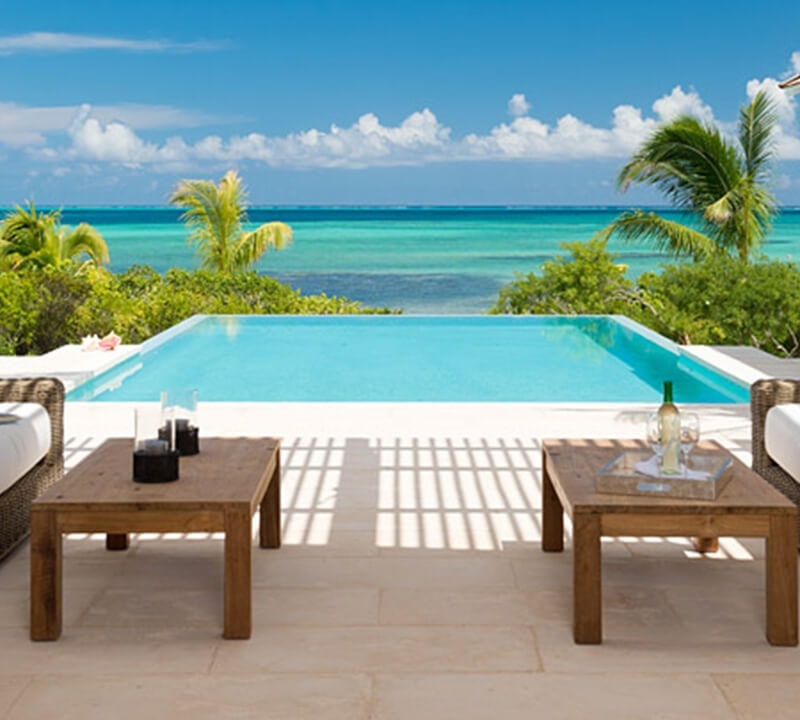 Turquoise Vacation Rentals offers its guests the below selection of luxurious, serviced villas. 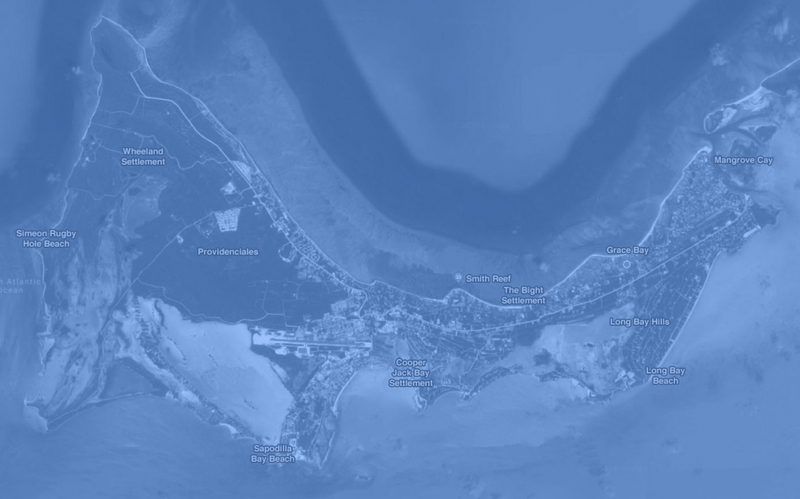 your whole stay on island from start to finish. The Castaway villa modern and clean design impresses from the moment you pull up to the main gate. The long, winding, driveway gives you a complete feeling of privacy as you approach the house. Castaway is nestled in its own little oasis of tropical plants and gardens. 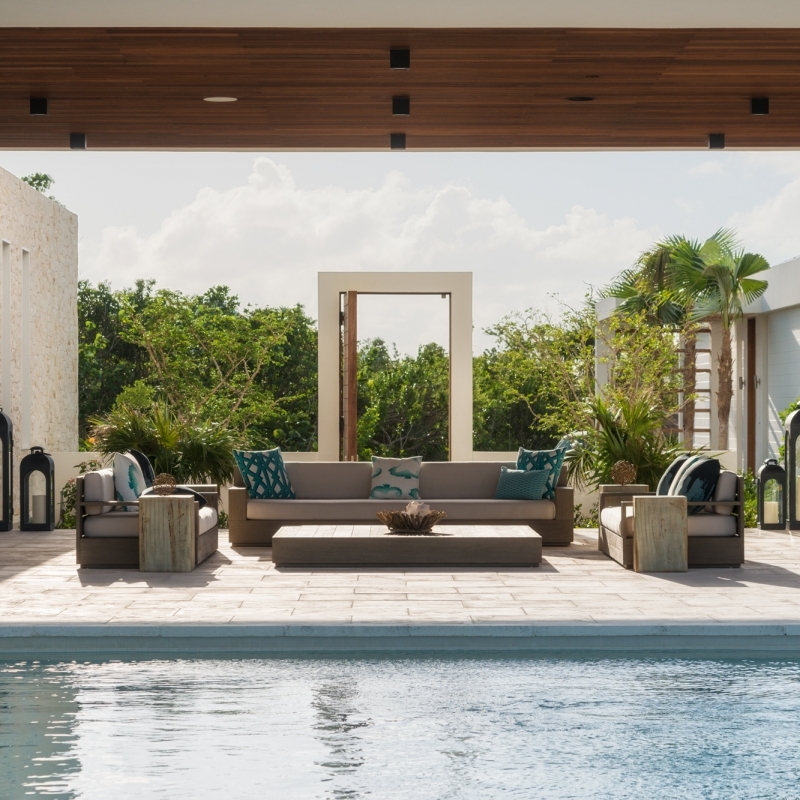 As you walk into what is called, The Great Room, the view overlooking the living room, exterior deck and pool followed by ultimately the ocean, is a special one. The Beach Villa Aquazure is a beautiful, modern, recently renovated property that has a footprint of a property originally constructed in the 1980’s, when setback laws to the ocean were not yet in place. This offers guests incredible proximity to the ocean. Step off of the beach deck and your feet are directly in the sand. 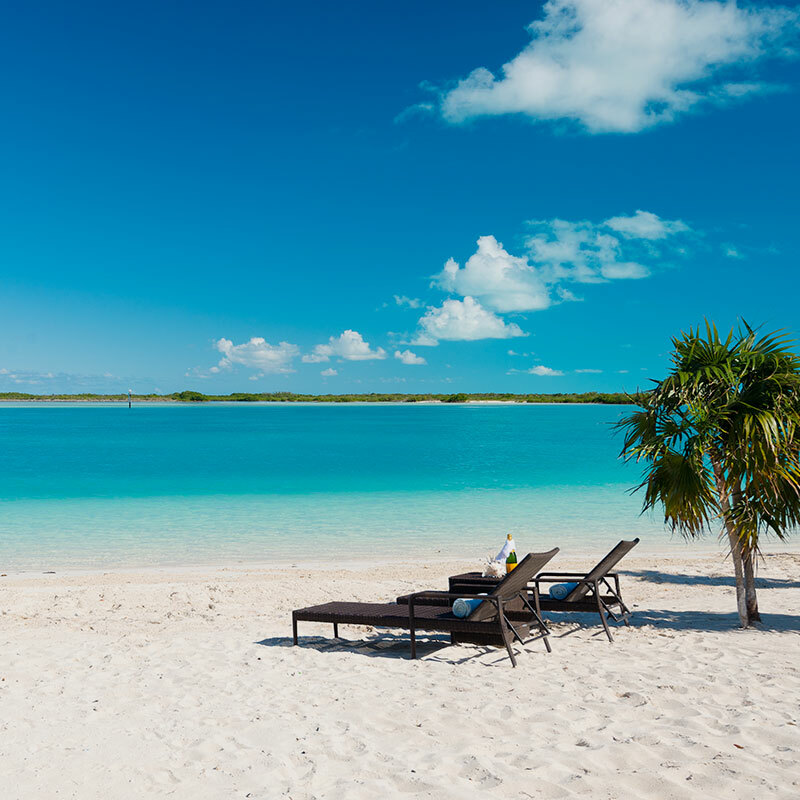 ‘Big Chill’ is a luxurious six-bedroom all suite villa situated in Leeward’s prestigious canal system with very close proximity to some of the best beaches The Turks and Caicos has to offer. 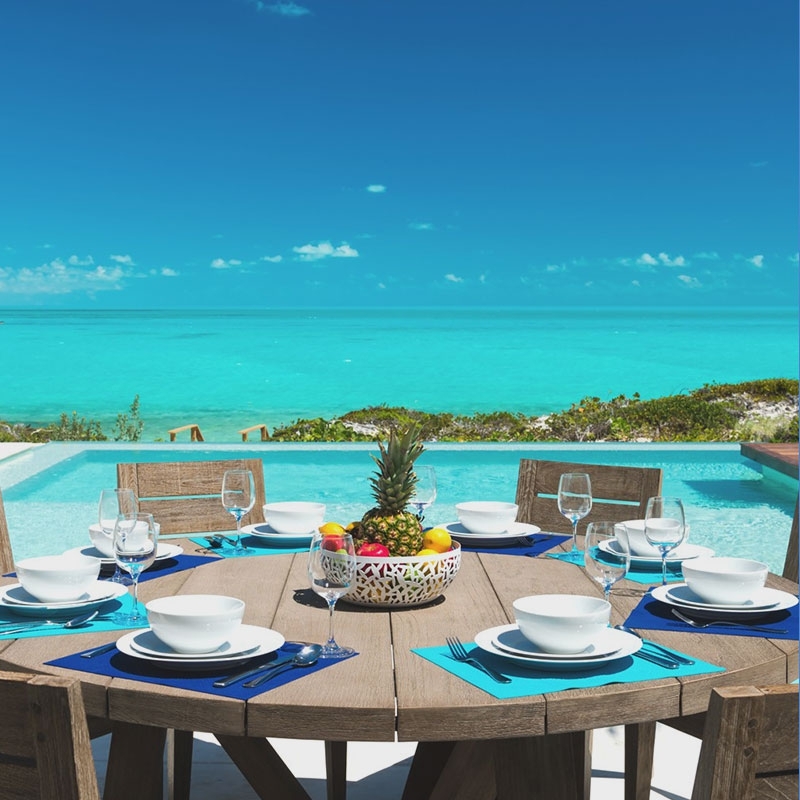 Our first villa in the Southwest of Providenciales, Villa Alinna is located in the area of Chalk Sound and is a gorgeous five-bedroom, full suite villa with breathtaking views of Chalk Sound National Park. 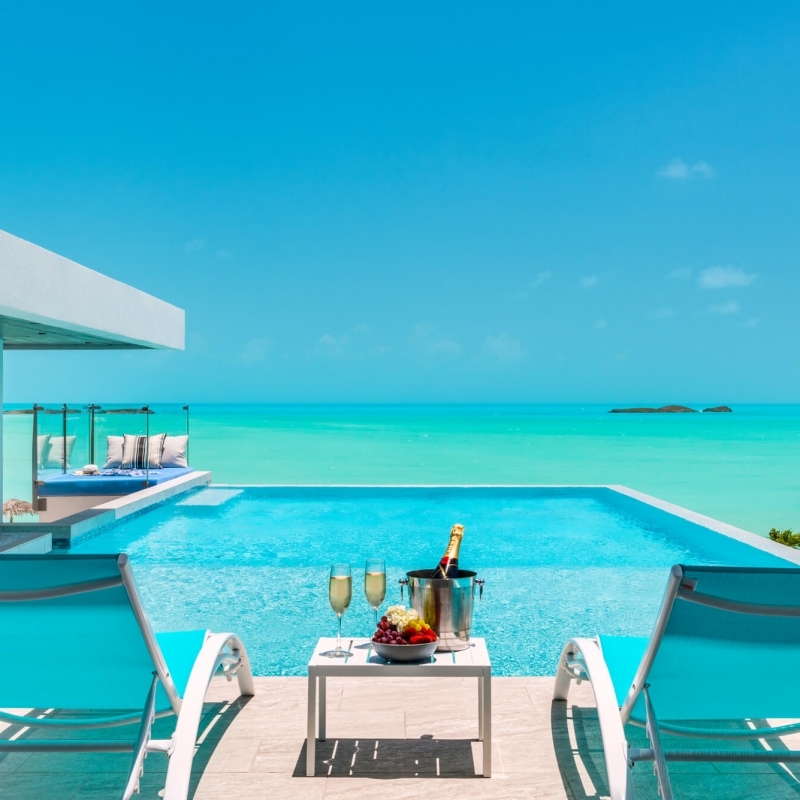 Welcome to this cool, new, modern and contemporary property that sits on the South shores of Providenciales overlooking the turquoise Caicos Banks. 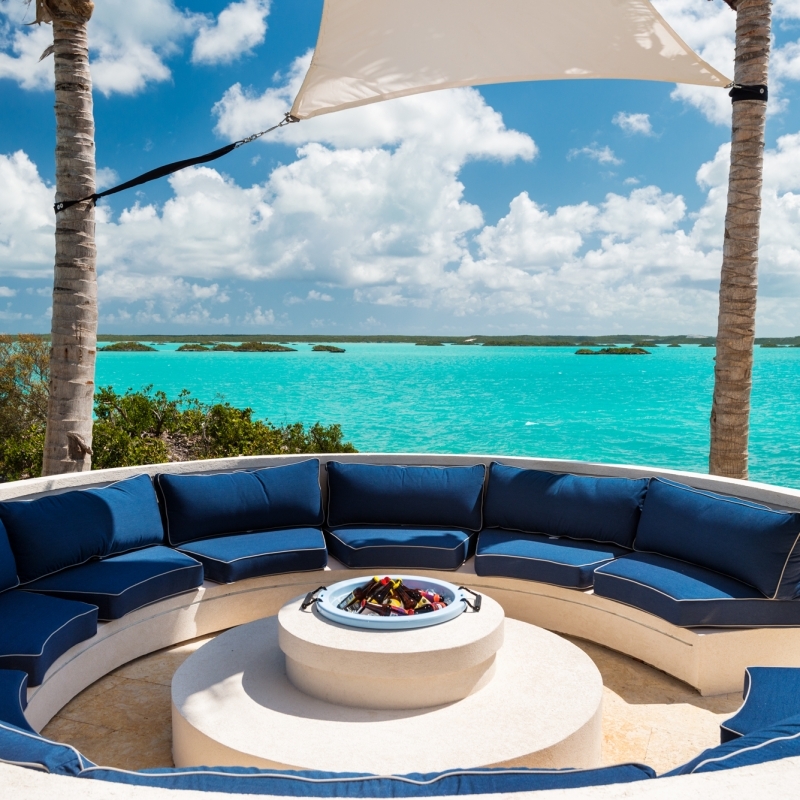 This property, designed by Turks and Caicos architect Ron Shaw, gives you a Frank Lloyd Wright styled home that runs completely off solar panels, the first of the villas on 'Provo' to do so.